Home /Americans Lured By The Settlements? Americans Lured By The Settlements? For all the said animosity between Bibi Netanyahu and President Obama, the American government is set to finalize a military aid deal with Israel before the end of the current term. "For them to agree on this would send a signal to the world that although their personal relationship is not great, here Obama is making a down payment on 10 years of deep U.S.-Israeli security cooperation," Ilan Goldenberg, director of the Middle East Security Program at the Center for a New American Security, told the Post. “These steps by Israeli authorities are the latest examples of what appears to be a steady acceleration of settlement activity that is systematically undermining the prospects for a two-state solution,” Mr. Kirby said. An approximate 15% of West Bank settlers are American citizens. According to a 2015 study conducted by Sara Yael Hirschhorn; of the 170,000 American immigrants in Israel, 60,000 Americans live in the Jewish settlements in the West Bank. There is a certain incongruity in an American Jew making Aliyah to a land that is in a perpetual state of war and deciding to set residence in the depths of the explosive atmosphere which rules in many West Bank settlements. It reflects a worrisome trend being established by foreign voices seeking to use Diaspora Jewry as a pawn for their ambitions. 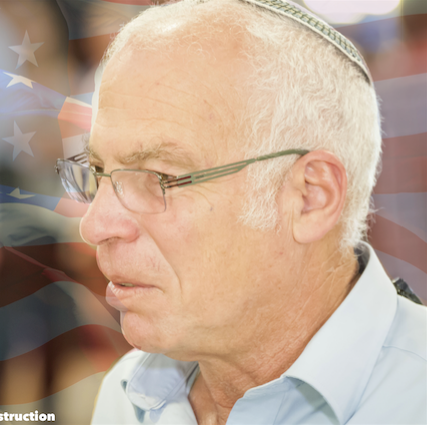 How can an individual be persuaded to exchange his American haven for the Israeli deserts? Given a free pass, Israeli sponsored advocacy groups operate untethered within the American borders to promote the Zionist Aliya agenda. Foreign organizations plying their shoddy immigration wares should be a scorned notion, especially in a country whose security is head and shoulders above many others the world over. Unfortunately, relatively every major Jewish organization and periodical repeats the Aliya theme as a holy mantra. The general rule that one does not trade merchandise of superior quality for that which is inferior seems to have been stood on its head. With the current military aid deal, America will be investing in the security of other nations. What about the investment for the security of Americans? Isn’t seeking a means to enlighten our own citizens against immigrating to the inimical climate pervading the West Bank settlements a worthy venue for American investment? Awareness concerning this form of immigration requires particular attention, bearing in mind that the development of these settlements most definitely interferes with peace overtures proposed by the American government. According to the State Department, “We remain troubled that Israel continues this pattern of provocative and counterproductive action, which raises serious questions about Israel's ultimate commitment to a peaceful, negotiated settlement with the Palestinians”. Aliya to Israel plays with the security of American citizens. The development of settlements obstructs the American peace proposals. Now, what other than curbing the influence of such lobbyist groups is a worthy investment?